The smartphone HTC One M9 is ready to be updated to Android 7.0 Nougat. This is good news that we must add to the HTC 10, which the Taiwanese manufacturer has also begun to update to the latest version of Google's operating system. At the moment there is no talk of a specific version (whether 7.0 or 7.1), but we do know that the update will begin on all unlocked devices in the US. (leaving aside the cell phones contracted with telephone operators, which may be updated from the first months of 2017). A good way to bring a breath of fresh air in this device so powerful yet aesthetically unattractive. Let's remember all its specifications. 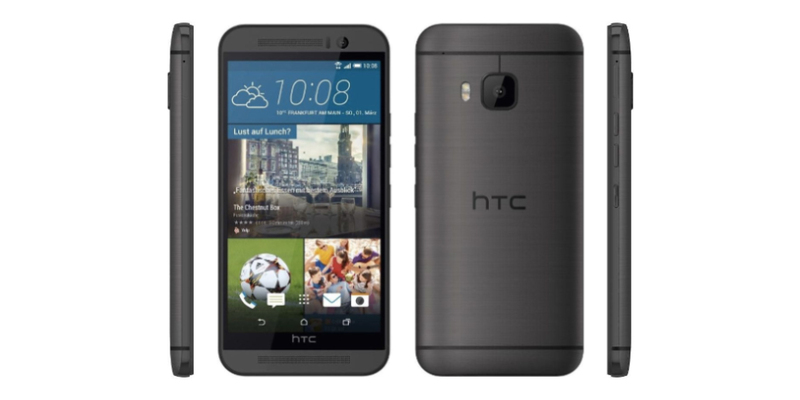 The technical details of the HTC One M9 include a 5-inch screen with Full HD resolution of 1920 x 1080 pixels (1080p), has a size of 144.6 x 69.7 x 9.61 mm and weighs 157 grams, originally equipped with the Android 5.0 Lollipop operating system with HTC Sense interface, with 64-bit octa-core processor Qualcomm Snapdragon 810 (2 GHz + 1.5 GHz), 3 GB of RAM and a 32 GB internal memory expandable via microSD, compatibility with 4G LTE network and nanoSIM card support, multimedia player for .aac, .amr, .ogg, .m4a and .mid formats as well as .mp3, .wav, .wma and .flac formats. We also found a 2,840 mAh battery, 20 megapixel rear camera with BSI sensor, f/2.2 aperture lens with sapphire crystal, autofocus and 27.8 mm, 4k video recording and front camera with HTC Ultrapixel, BSI sensor, and 1080p video recording. The HTC One M9, which was launched in Europe in April 2015 (available since then in three different variants and whose price is now half of what it cost us more than a year ago), has begun to receive the update to Android Nougat and some users have already realized this, as has also been confirmed from the product manager of HTC USA, Mo Versi.